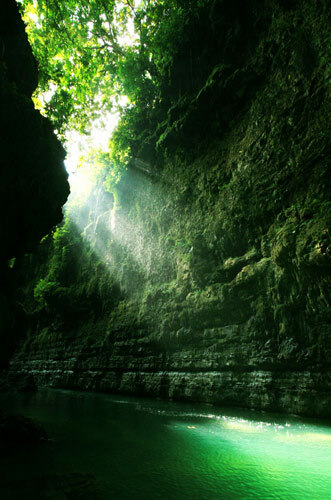 Cukang Taneuh or also known as Green Canyon is one of beautiful tourism object in West Java which is located in the Kertayasa village, sub-district Cijulang, Ciamis regency. 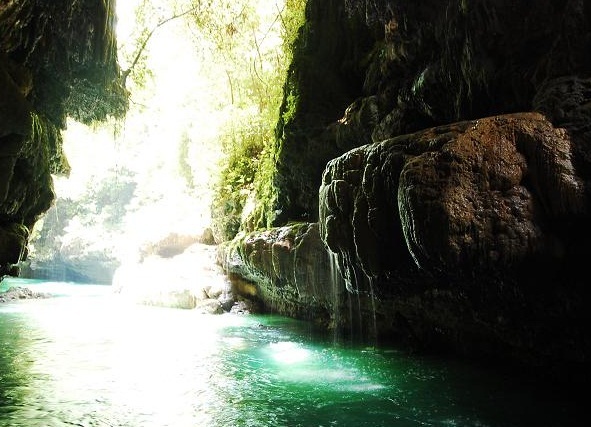 The Green Canyon name was popularized by a France tourist in 1993. Actually the original name of this lovely place is Cukang Taneuh, meaning Land Bridge. That's because over the valleys and ravines of Green Canyon there is a bridge of land used by the local farmers to go to their fields and gardens. This tourism object is the tosca green water of Cijulang river that flows penetrates the cave with fascinating views of stalactites and stalagmites flanked by two hills with rocks and thick trees presenting a unique challenging natural attractions. At the entrance of the cave lies Palatar waterfall that makes this beautiful place atmosphere feels so fresh. Several adventurous activities can be done here are rock climbing, river diving, swimming, body rafting, and on boat fishing. To reach this location the visitor can use the boats that plenty available at Ciseureuh pier, both outboard boats and paddle boats. The best time to enjoy the beauty of Green Canyon are a few moments after entering the dry season. During the rainy season, the river flows swiftly and the water color become brownish. Batik is a fabric that is traditionally used hand wax-resist dyeing technique. 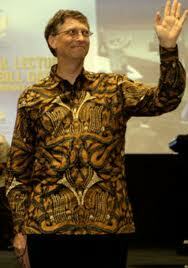 The word batik derived from the word 'ambatik' which translated means 'a cloth with little dots'. Batik can also come from the Javanese word "tritik" which describes a method to resist death, where the patterns are reserved on the textiles by tying and sewing areas prior to dying, even to tie dye techniques. Javanese traditional batik, especially Yogyakarta and Surakarta, has remarkable meanings rooted in the Javanese conceptualization of the universe. The traditional colors include indigo, dark brown and white. It is linked to the fact that natural dyes are the most commonly available in indigo and brown. Some of batik patterns can only be worn by the nobility, traditionally more stripes or wavy lines widest range indicated above. Therefore, in the ceremonies of Java, we could determine the royal lineage by a person's cloth. Although there are thousands of different batik designs, in general, there are two categories of batik design: geometric motifs (which tend to be older models) and free-form designs, which are based on reasonable stylized natural forms or imitations of texture fabric. Other regions of Indonesia have their own unique patterns which usually takes the themes of everyday life, with motifs like flowers, nature, animals, folklore or humans. The colors in batik Pesisir, coastal cities in the north of Java, is particularly vivid and absorbing the influence of the Javanese, Arabic, Chinese and Dutch cultures. Modern batik, although having strong ties with traditional batik, utilizes linear treatment of leaves, flowers and birds. These batiks tend to be more dependent on the designer's needs rather than rigid rules that have guided the traditional artisans. This is also evident in the use of color that modern designers use. Batik craftsmen no longer rely on traditional (natural) dyes, chemical dyes can produce any color you want to achieve. 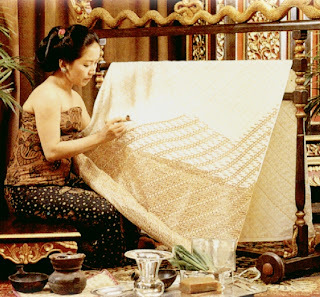 Modern batik still uses canting and cap to create intricate designs. Fine quality handmade batik is very expensive and the production of these works is very limited. 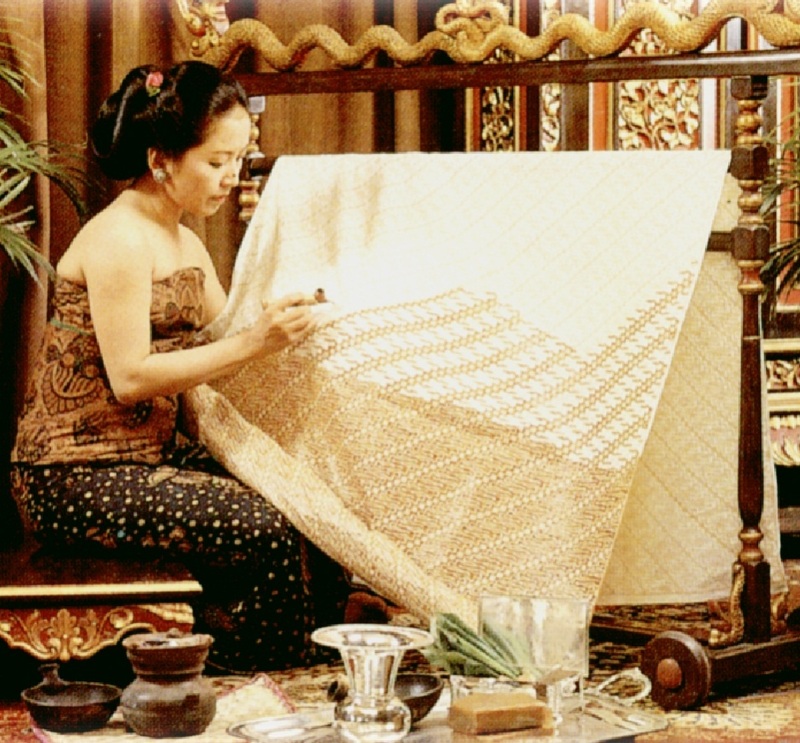 High couture designs drawn on silk are very popular among wealthy Indonesians. These pieces of exceptional quality can take months to create and costs hundreds of dollars. 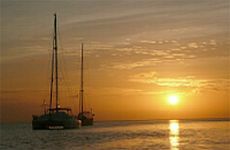 Wakatobi National Park is a marine national park located at South East Sulawesi province, Indonesia, between the Banda Sea to the north-east and the Flores Sea to the south-west. The name of Wakatobi is an acronym of the four main islands in this archipelago are Wangi-wangi, Kaledupa, Tomia, and Binongko. Beside those four larger islands it also consists of many small islands such as Tokobao, North Lintea, South Lintea, Kampenaune, Hoga and Tolandono. The highest elevation is 274 metres (899 ft) on Wangi-Wangi, followed by Lagole Hill (271m) on Tomia, Terpadu Hill (222 m) on Binongko and Mount Sampuagiwolo (203 m) on Kaledupa. Wakatobi National Park has very high marine resource potential, in terms of both species and uniqueness, with enchanting submarine landscapes. In terms of configuration, the marine waters of the park generally start flat and then slope seawards, with sheer precipices in some parts. 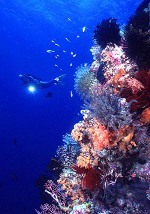 The water depth varies, the deepest parts reaching 1,044 metres (3,425 ft) with sand and coral at the bottom. The types of vegetation found in the Wakatobi National Park are mangrove forest, coastal forest, lowland swamp forest, riverbank vegetation, lowland rainforest, mountain rainforest and coral reefs. The Wakatobi Archipelago has 25 groups of coral reefs (the total circumference of the coral islands is 600 km) including fringing reefs, barrier reefs and atolls, which make this beautiful archipelago as one the best Marine Tourism object in the world. The indigenous people who live around the Park belong to the Bajau tribe. Locals still commonly use spear-fishing. 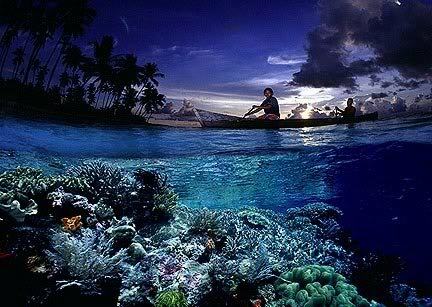 The uniqueness of the islands makes Wakatobi Archipelago as a perfect place for marine tourism activities such as diving, snorkeling, fishing, and swimming. It also a great place for camping and hiking. April to June and October to December is the best time to visit this amazing place. Ijen Crater Tourism Area is situated in the middle area of Kawah Ijen ​​nature reserves that located in sub-district Klobang, Bondowoso regency and Sub-district Licin, Banyuwangi regency, East Java province. Surrounded by a landscape of lush coffee plantations and dramatic volcanic surrounds, Ijen Plateau is a quiet but active volcano with a stunning natural beauty that draws in visitors from around the world. 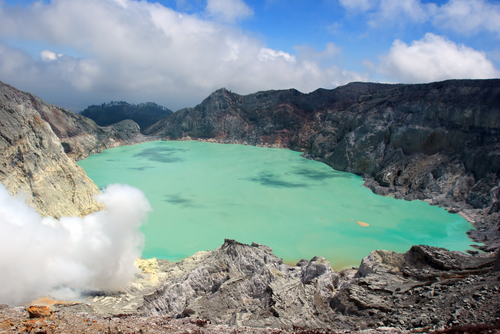 It is the spectacular turqouise sulphur lake which fills the crater of Ijen which is the main attraction. 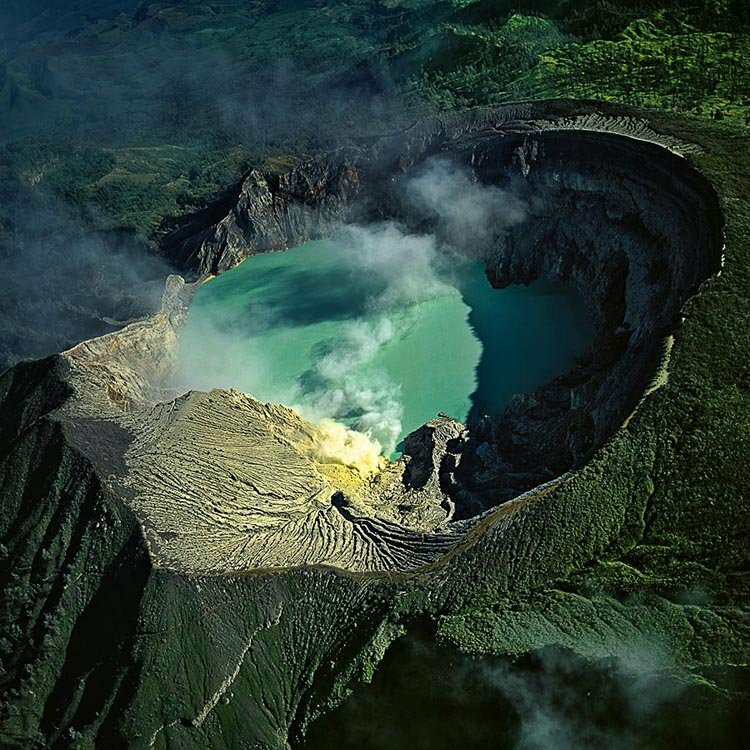 The magnificent lake is located 2148 meters above sea level and is surrounded by the volcano’s sheer crater walls. At the edge of the lake, smoke billows from the vent of the volcano and the water begins to bubble whenever the volcanic activity increases. Kawah Ijen (Ijen crater) is the world’s largest highly acidic lake. The vent also produces sulphur so it is the site of a labor intensive sulphur mining operation. Workers climb the crater every day transporting the sulphur by hand. 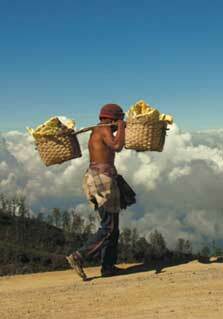 Sulphur collectors are paid by the weight of what they collect and can carry loads of up to 80kg. To see the stunning lake, visitors are recommended to hike during the dry season between April and October. The starting point for the trek is Pos Paltuding. The 3 km hike is steep and will take around 1½ hours. The best time to enjoy the crater scenery is at morning, when the yellow sunlight glows the yellow water and shines the surrounding mountain like mount Merapi (not to be confused with Mount Merapi, in Central Java aka Gunung Merapi), the sister of Mount Ijen. Morning haze is creating a tranquility with breathtaking views of the sun emerging over magnificently dramatic scenery. At 2 pm, the crater is closed for the reason that the thick smoke from the crater that is poisonous. Nearby the volcano there are also coffee plantations, hot springs and waterfalls to explore.